The San Diego Genealogical Society has grown substantially since October 10th, 1946 when Mrs. Alicia Pearl Mayer initiated a meeting, held at noon in the U.S. Grant Hotel, for the purpose of organizing a society "for mutual help in the pursuance of genealogical work and for the establishing of a genealogical library for the benefit of members." Present at the meeting were Mrs. Mayer, Mrs. Elzoe C. Weissgerberand Mr. Paul Henry Goss. Early membership in the Society was by invitation. There were 26 charter members. The Society's genealogical research collection (now over 10,000 volumes) began as a circulating collection of two books plus a few manuscripts and pamphlets exchanged at Society meetings. 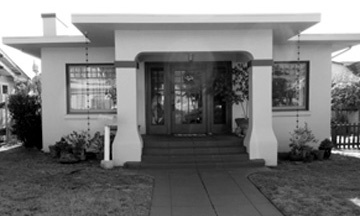 A studio in the Spanish Village Art Center (built in 1935 for the California Pacific International Exposition) in Balboa Park housed the collection beginning in 1949. By 1957 there were 244 books in the library and the Society had yearly subscriptions to ten genealogy periodicals (journals, quarterlies, newsletters, etc.). The collection had grown to more than 1,000 volumes by 1972. It was June 1979 when the SDGS library, about 3,000 volumes and 45 periodicals, moved to an apartment (leased from members Win and Edwina Goddard) on 3030 Kellogg St in Point Loma. 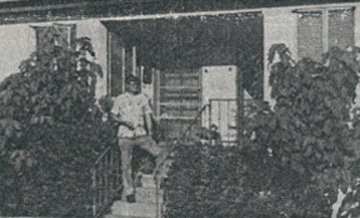 The genealogical collection outgrew this facility and in October 1982 it was moved to a house on Kalmia Street (also leased from Mr. and Mrs. Goddard) in the North Park neighborhood. 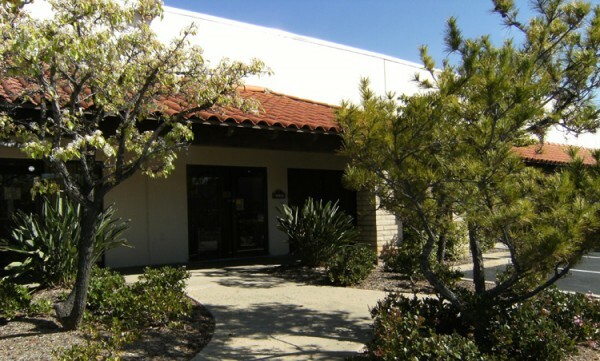 In October 1994 the Society moved to Pioneer Way in El Cajon, followed by its relocation in 2009 to 7343 Ronson Road, Suite O, in San Diego. In December 2013 the location on Ronson Road was closed. The collection has since been donated to the San Diego Public Library system and is available to researchers at the new Main Library facility which opened in September 2013. In 1995, SDGS hosted the National Genealogical Society's 'Conference in the States.' This four day event was attended by approximately 2,000 people from around the world. The Society hosted a series of Genealogical and Family History Fairs at the Scottish Rite Center beginning in 1996. SDGS was also host to GenTech 2000, two days of computer genealogy education for nearly 700 attendees. The San Diego Genealogical Society Newsletter has been published since 1963 and was published and distributed monthly (except January) to all current members. Beginning of fall 2018 it was renamed Quarterly and published quarterly. The Quarterly contains information on upcoming meetings, speakers, seminars, research trips, fundraising events, special projects, library acquisitions, member research queries and other items of current interest to genealogists. Since 1972 the Society has published San Diego Leaves & Saplings, a quarterly publication of San Diego County, California historical and genealogical records. In its 46th volume, San Diego Leaves & Saplings has published cemetery, census, church, hospital, land, mortuary, school census, voter registration and numerous other records of interest and value to genealogists and family historians researching their San Diego County, California ancestry.